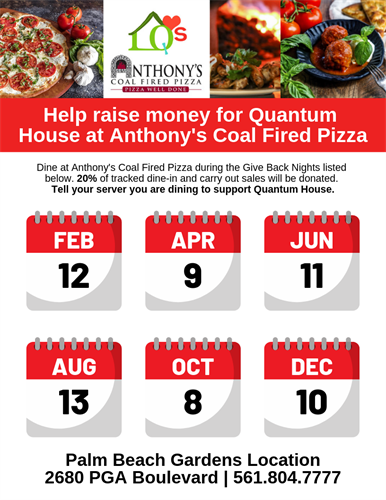 Have a slice for Quantum House on Tuesday, February 12th at Anthony's Coal Fired Pizza! From 11:30 am - 10 pm you can donate 20% of your bill to Quantum House. Choose to dine-in or carry out to support. Please remember to mention Quantum House to your server.